On my first post about Pirashki, I talked about my Russian friend Mela. When we used to work together she used to bring Pirashki to work every so often and she used to purchased a “vegetarian” version just for me since at the time I was a pesco-vegetarian. I recently decided to replicate the delicious cabbage Pirashki that she used to bring to work. I absolutely love Pirashki and it’s not terribly difficult to make. The timing for this post could not be any more opportune since the Persian Food Bloggers are once again collaborating on a collective post. Our theme this time is a Persian Summer Picnic. It only made sense for me to post this recipe as my contribution to our virtual picnic! So far these Pirashki have been well received and enjoyed by a good number of people. A couple of words of advice. I have made these with packaged shredded cabbage and carrots out of convenience. 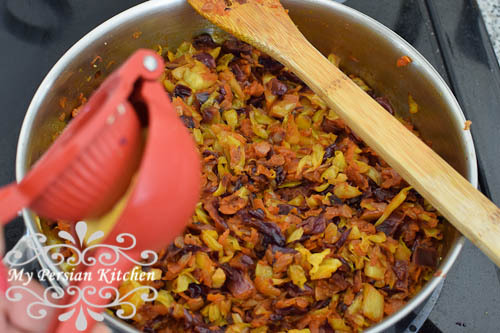 However, I find that the flavor is much much better when I shredded the cabbage and carrot myself at home. Combine warm water (100°) with sugar and mix well. 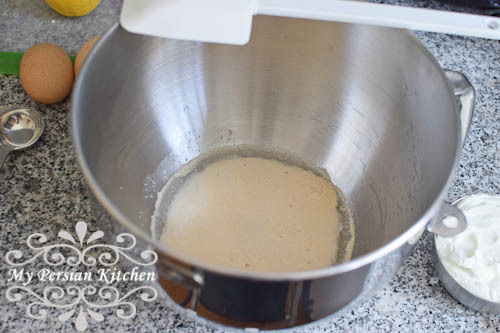 Add yeast and let stand for 10 minutes. Add salt, oil, yogurt and eggs. Mix all well together. 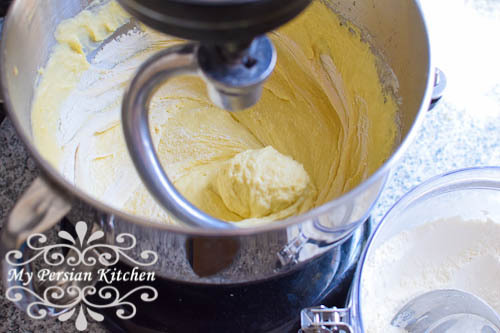 Add 1 cup of flour at a time. Add more flour if needed. Kneed for a few minutes. 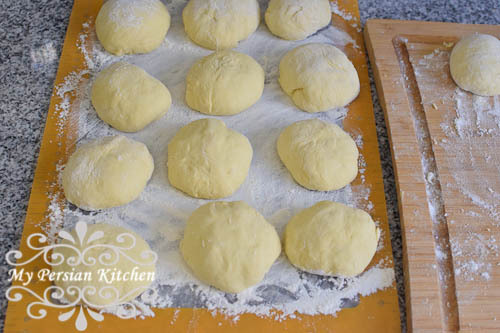 The dough should be smooth and not stick to your hand. Cover and let rest for one hour. In the mean time make the stuffing. Sauté onion until just golden. Add turmeric and cook for about 1 minute longer. Add cabbage and carrot. Season with salt and pepper. Cook on medium until the vegetables are cooked. Add tomato paste and mix well. Continue cooking for about 10 minutes longer. Remove from fire and add lemon juice. Mix well. Set aside and allow to cool. Knead the bread and divined into even pieces. I was able to make 15 out of mine. 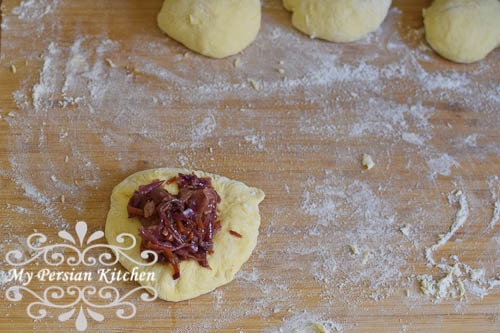 Flatten each piece of dough and place about two tablespoons of the stuffing on it. 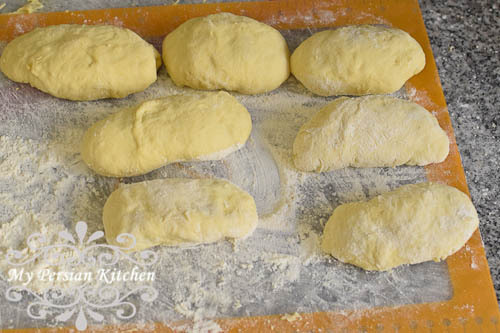 Gently shape the dough into an oblong and close onto itself so that there are no holes. 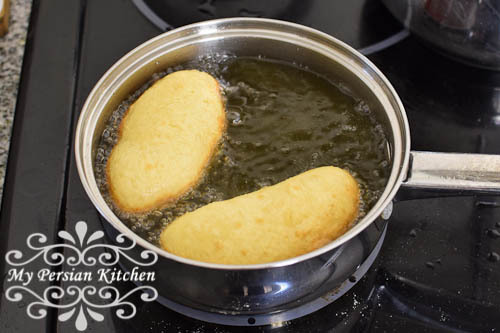 Fry the pirashki in grape seed oil for about 2 minutes on each side. Remove from oil and place on a plate lined with paper bowl. Enjoy warm or at room temperature. Add salt, oil, yogurt and eggs. Mix all well together. Sauté onion until just golden. Add turmeric and cook for about 1 minute longer. 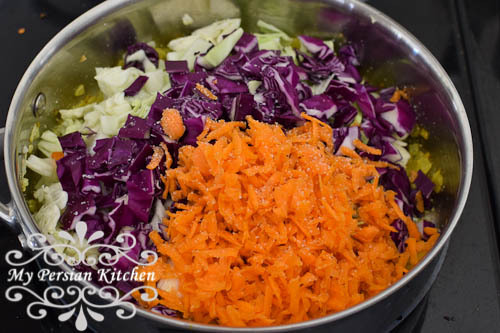 Add cabbage and carrot. Season with salt and pepper. Cook on medium until the vegetables are cooked. Knead the bread and divided into even pieces. I was able to make 15 out of mine. 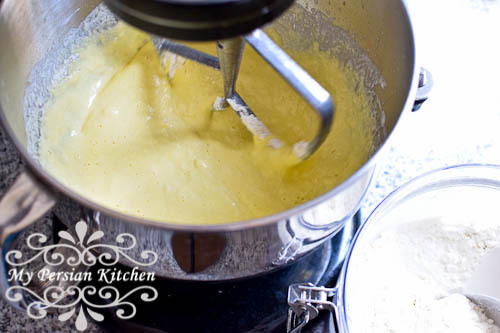 Flatten each piece of dough and place about two tablespoons of the stuffing. 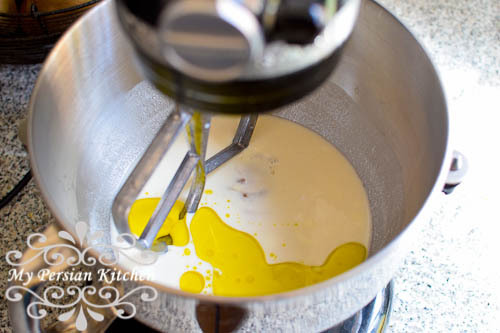 Remove from oil and place on a plate lined with paper bowl. 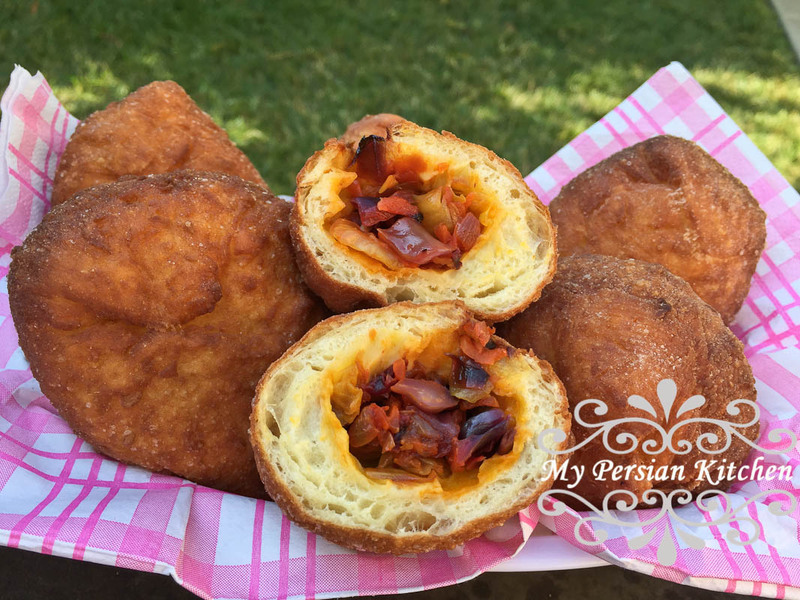 Please hop on over and see what the other Persian Food Bloggers have made for our virtual Picnic! I haven’t had pirashki since I lived in Glendale. Such a delicious treat. And I love that you used cabbage! There was nothing more satisfying than coming home after school to my mom’s home made pirashki. These look and sound so delectable. Thank you for sharing, Sanam! And Happy Summer! 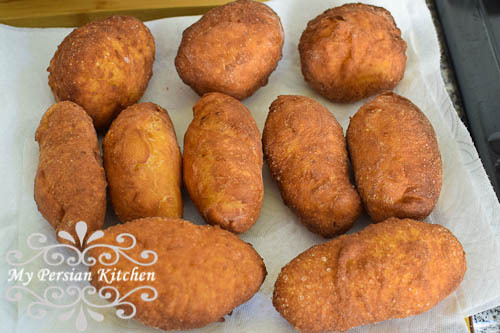 Wow, I have never made pirashki from scratch. My Fathere used to make them from scratch and never tried to learn it. 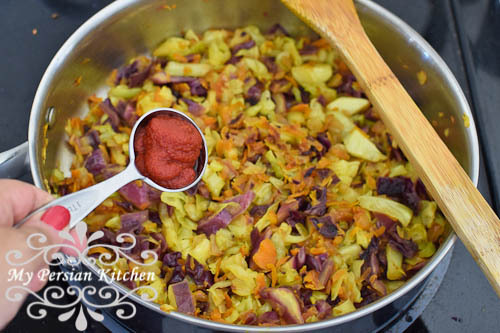 Now I can visit your post and make beautiful, tasty vegetarian pirashky! Mmm Mmm! Fae, you should try them, they are a bit time consuming but very worth it! Naz, what a fantastic memory!!! Happy Summer to you!!! Laura, you need to indulge in Pirashki!!!! !